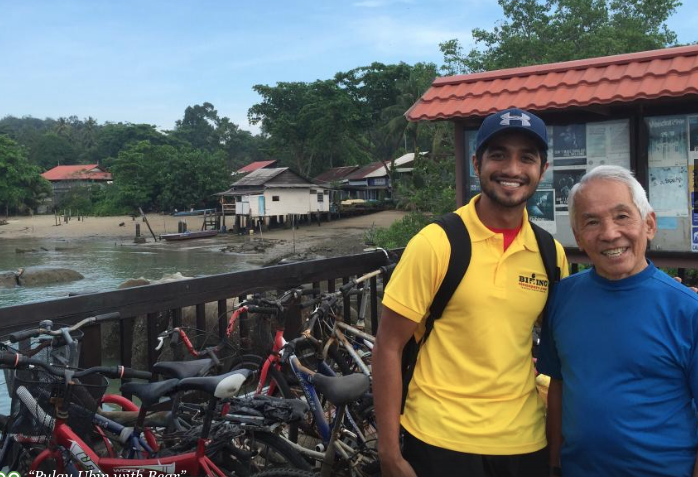 " Pulau Ubin Cycling Tour at it's best!" ​I have always wanted to take a cycling tour around Pulau Ubin in Singapore. Having the lack of info about the place, I arranged with Biking Singapore for a Pulau Ubin Cycling tour for myself and friends. And what an adventure we had!! 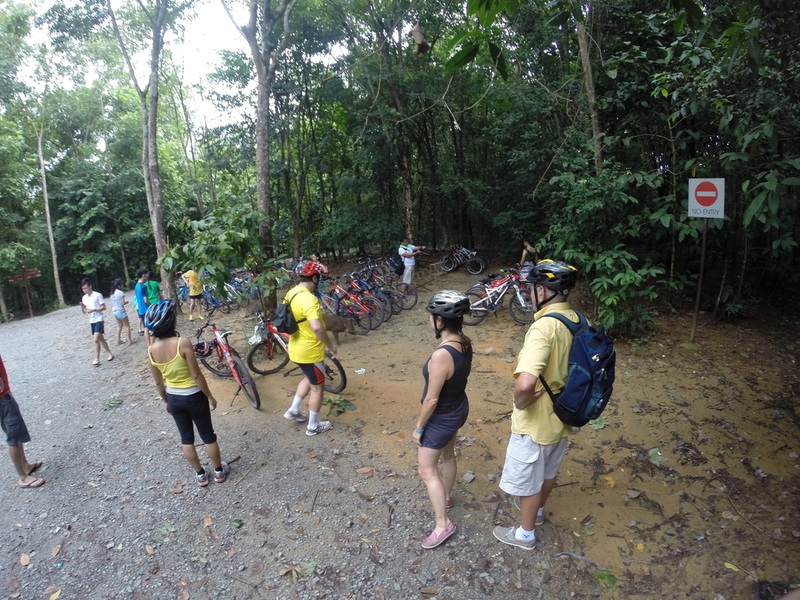 It was a easy terrain in some of the places, easier than mountain biking, but all the same it was good. 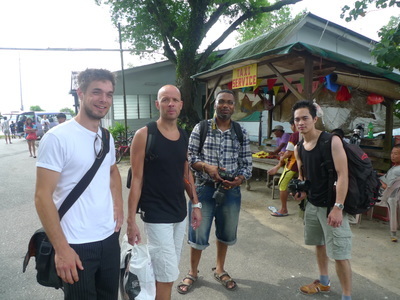 The knowledge I have gained about the place also provide me with some history about Singapore. 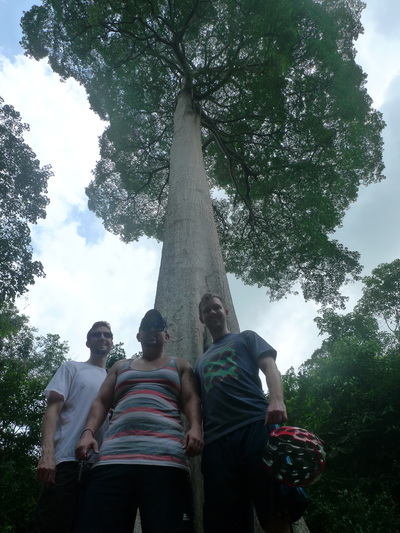 Tony is a good tour guide and he definitely stays in tune with our energy and skill levels. A must for first time travellers who want to see the place. 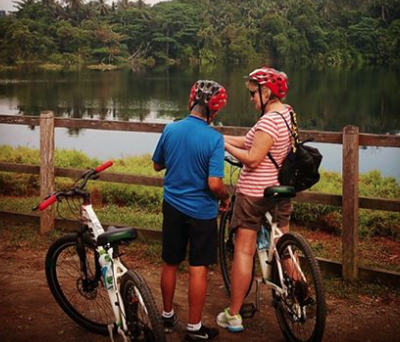 Biking Singapore is the choice!! 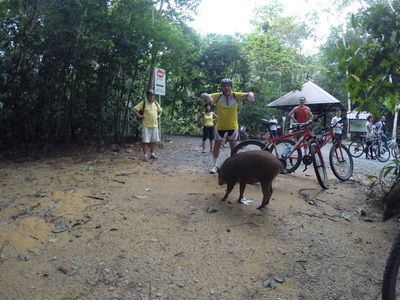 "Pulau Ubin Adventure Cycling Tour"
Tony and his colleague, Bear did a very good job. We visit Pulau Ubin for a full day cycling tour. 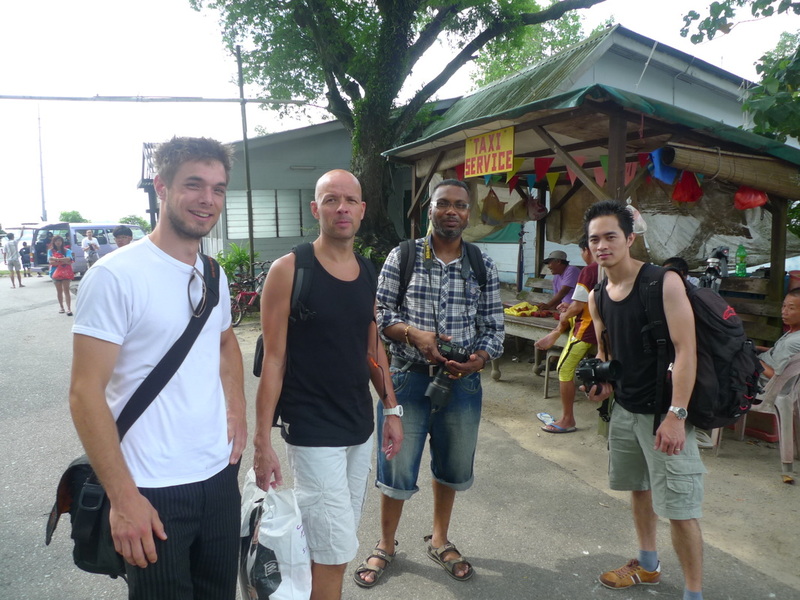 They where very friendly and know a lot about the island and it's history. 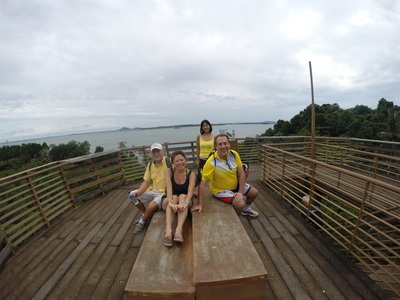 So it was certainly worth the money and we had a good time on Pulau Ubin. There was interesting sights like the German Girl Temple, Old village garden and a Mangrove reserve. 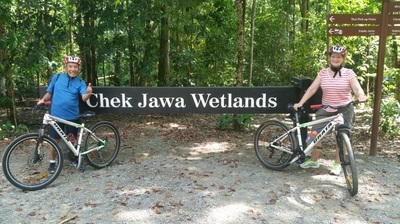 Cycling around was comfortable but challenging at the same time. The guides did a good job keeping us at a good pace. Recommend this for nature lovers! "Pulau Ubin Cycling Tour with Bear"
​His real name is Khabir & he was so much fun to spend the day with. 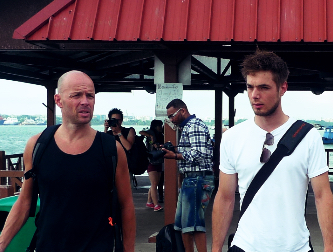 We took the ferry to the island. It is beautiful and such a treat after being in urban areas for the last while. Bear had many interesting stories and facts at his fingertips & knew all the right spots to go to for great vistas. The biking was only slightly challenging, the heat was more difficult but you are in the shade most of the time. 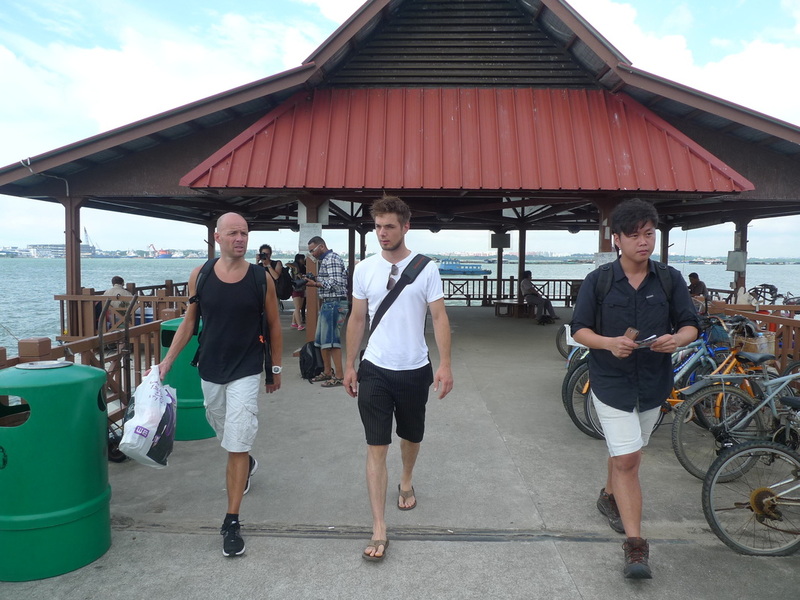 Afterwards we had lunch at the hawker stand in Changi Village & then Bear insisted on escorting us to be sure we got on the right transit home. 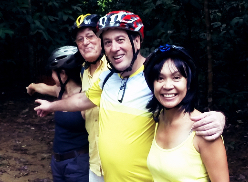 I feel like we made s friend in Singapore & can't say enough good things about our guide. Tony also was great in the setup & direction department. I highly recommend this tour. "Excellent Biking Tour of Pulau Ubin"
Tony was an excellent tour guide. They booked us despite it being a short notice, and made sure an employee was available to guide us. Tony met us at the Changi Ferry Jetty, despite the fact we ran about 10 minutes late, and ensured we got on the ferry over to Palau Ubin with no hassle. 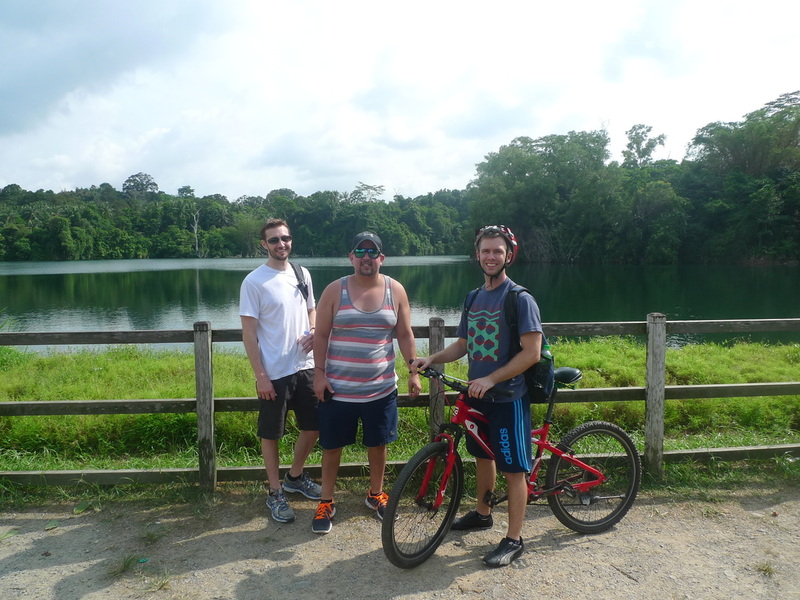 The cycling tour was a nice mix of easy riding and hiking, and Tony was extremely knowledgable about the area. He even provided a brief history of Singapore. 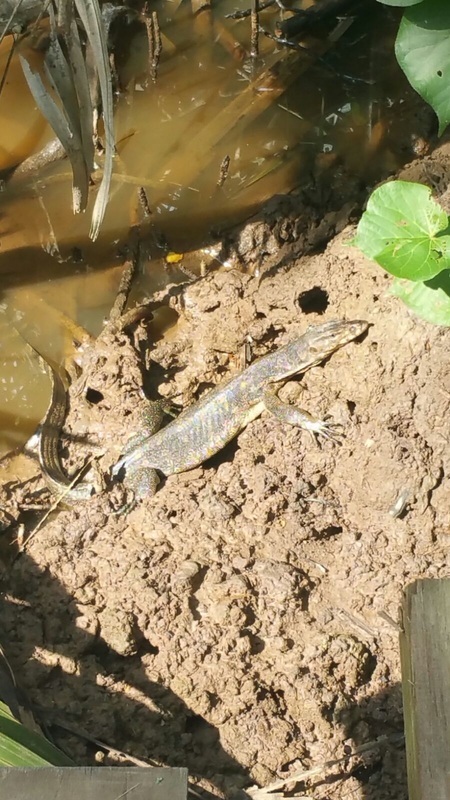 During the ride, he would stop and point out interesting wildlife, including wild pigs and monkeys, as he knew where the different species were located. When we decided to stay on the island for a few minutes rather than crossing back over as scheduled, our guide was very helpful, and made sure we knew how to get back to the mainland via the ferry and had enough cash. 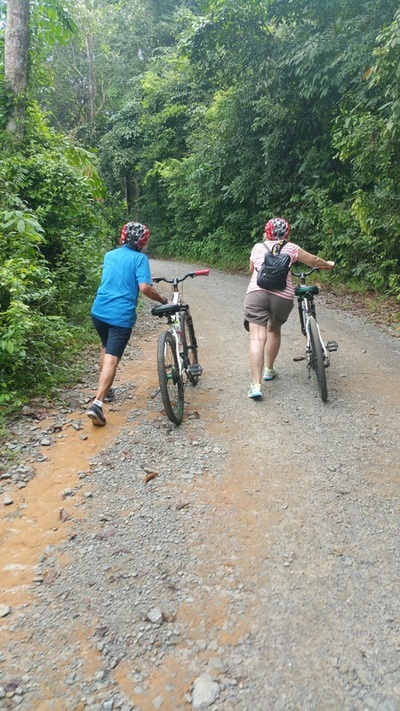 The only, and very minor, shortcoming was that the bikes were just a little less than excellent- some of the gear shifts were a bit sticky, but I guess it cannot be helped with the kind of terrain the bikes have to go through. Thankfully Tony got us to check the bikes thoroughly before we set out.